THE removal of the Tree of Life sculpture from the Cranbourne Rd exit of Peninsula Link has sparked a social media backlash. Drivers, including many who do not usually regard themselves as art lovers, have gone out on a limb and expressed their love for the huge sculpture which has towered over the Cranbourne Rd exit section of the freeway for the past two years. Passers-by noticed workmen pulling the Tree of Life down last week. Thousands took to Facebook to publicly declare their fondness for the sculpture. The unusual looking sculpture was repeatedly described as “beautiful” and many are sad to see it go. The Tree of Life, a dynamic wind-activated sculpture designed by New Zealand artist Phil Price, will be moved to the McClelland Gallery & Sculpture Park in Langwarrin for public display. Former McClelland Gallery director Robert Lindsay is the consultant overseeing the relocation of the much-loved sculpture. He said the Tree of Life should be installed within the gallery grounds on Wednesday (8 July) subject to wind conditions on the day. 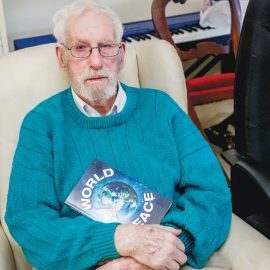 Mr Lindsay understood Peninsula Link commuters’ attachment to the Tree of Life sculpture but said a new sculpture will soon be installed at the Cranbourne Rd exit site. McClelland has a contract with Southern Way, owners of Peninsula Link, to install new artworks along the freeway every two years. 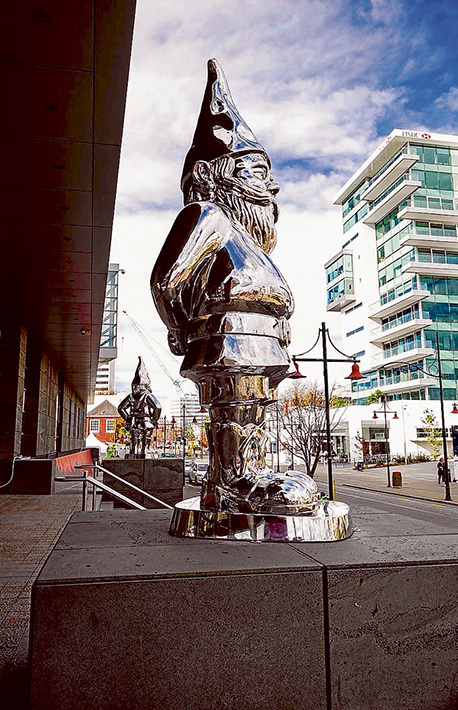 A towering 9-metre stainless steel gnome sculpture called Reflective Lullaby, by Slovenia born artist Gregor Kregar, is scheduled to be installed on Thursday 16 July. Mr Kregar, who is based in New Zealand, told radio station 3AW his Reflective Lullaby sculpture had been selected by McClelland from several entries to replace the Tree of Life. He said he has been “interested in gnomes for quite a while” as mythical creatures rather than “Disneyesque” characters. Mr Lindsay said the interest and debate around the Peninsula Link artworks is a positive for Frankston. The freeway sculptures are commissioned and owned by McClelland, through funds donated by Southern Way. The public-private partnership, The Southern Way McClelland Sculpture Commissions, will see 14 major sculptures displayed over 25 years until the year 2037.